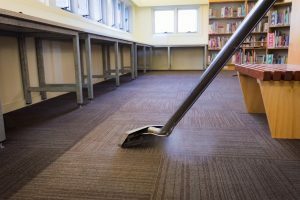 School buildings and campuses are unique environments when it comes to cleaning. Whether it is a preschool, elementary school, high school, or college campus, Eagle Cleaning believes it is important to work with a cleaning company that understands a school’s unique needs. When determining the proper schedule and staffing plan for cleaning a school, it is necessary to consider many factors including seasonal changes in use, the age range of the students, location of the school (urban or rural setting), size of population, age of the building, type of flooring materials, and other uses of the building(s) outside of normal school hours. Preschools and Day Care Centers often require extra sanitizing due to the frequent transfer of germs. Disinfecting of all hard surfaces, floors, doorknobs, light switches, toys and equipment is often required. It is important to use cleaning chemicals that are safe for this environment, as small children often put objects in their mouths. Elementary schools require wiping of all dining/cafeteria surfaces as well as regular floor sweeping, mopping and scrubbing. Frequent foot traffic, moving from indoors to outdoors and back again for recess and physical education classes, means that elementary school floors require extra floor care and attention. 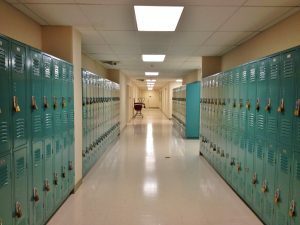 High School floors, especially hallways and gymnasiums, are subject to much use and abuse throughout the school year. In addition to daily mopping, these floors require floor refinishing several times throughout the year – typically during school breaks when they are not in use. 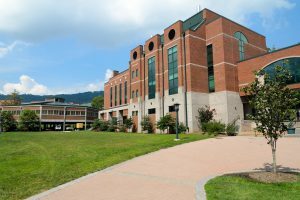 College buildings can require additional end of year cleaning. Dorm turnover cleaning can include large amounts of trash removal, deep cleaning of all surfaces, floor refinishing and carpet shampooing. Find out what some of our school clients are saying about us. Call Eagle Cleaning to inquire about a quote for your educational facility. Visit our blog to see posts about how Eagle tackles projects at some local schools, universities, and campuses! Blog post: How Clean is your student’s Dorm Room? Are you already an Eagle customer? Enter your review below! ⬇ Interested in Eagle Cleaning? Request a quote below ⬇ or call us today! Graduation is here, time to clean those dorms!